We took an extra large handbag and made it a all-rounder: Esmeralda is a home luxury woven leather storage bag, a striking accent piece for the living room, master bathroom or bedroom. 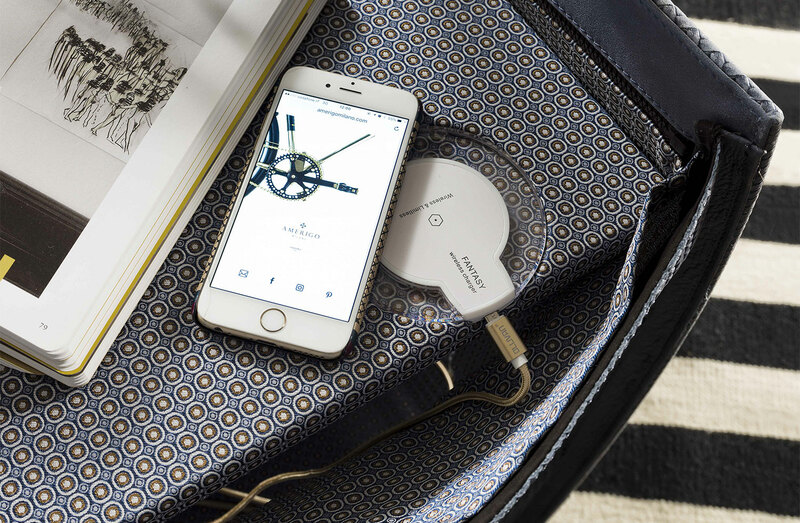 Its uses are infinite, from magazine rack to firewood basket, from super chic coffee table to roomy nightstand with charging station. Just place it in any corner and see the room liven up. Why a woman’s handbag shape? Let’s start from the beginning. At Amerigo Milano we love fashion and interior design, and from time to time we stroll the streets of Milan's fashion district looking for inspiration. Clothes, suits, shoes are ever changing accessories, but there is one piece that actually seem to be a constant: women’s daily handbags. Whatever the model, a bag is women's all day companion and they all have a favourite one. Besides, with every change of season all haute couture maisons issue new collections, but signature bags are the only ones to stand the test of time. So why not in the house? 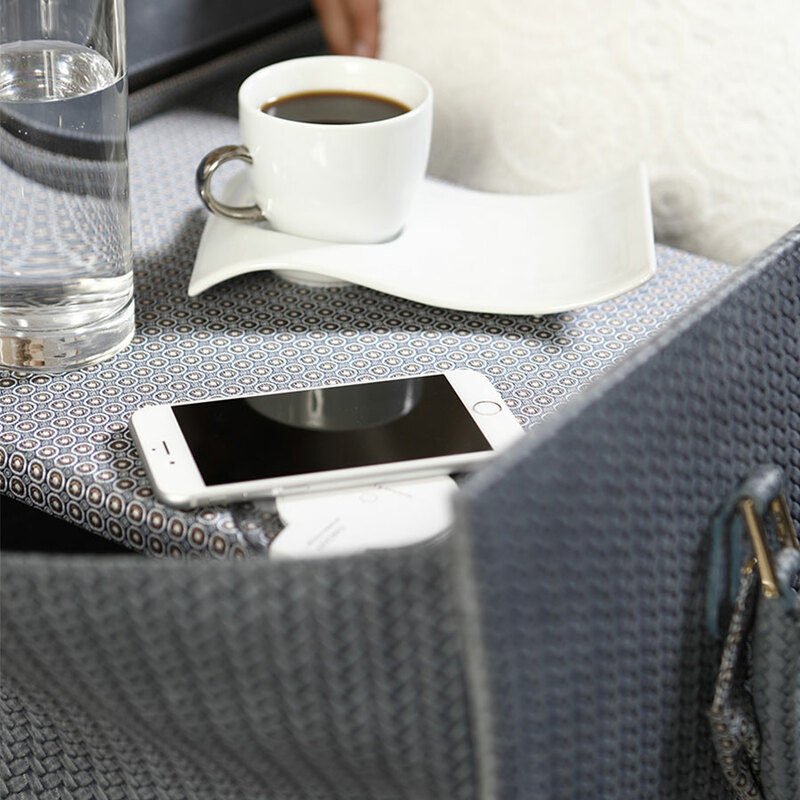 This is how the design was born and then developed into a versatile and elegant storage bag. Inspired by the most iconic bags, dedicated to muses like Jackie Kennedy and Grace Kelly, our stylish storage bag is a timeless home accessory. A luscious brunch in the park, some sparkling champagne and two flutes. 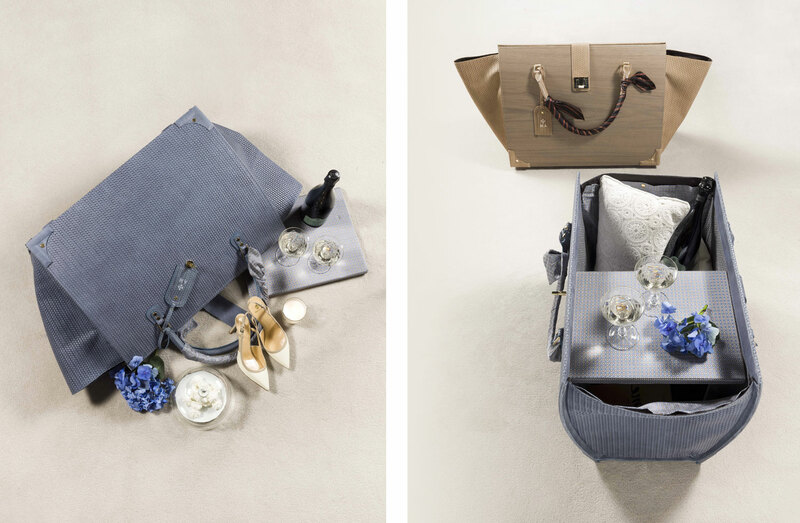 The storage bag easily converts to a handy portable small table for you to carry to a romantic pic nic or a bohemian rooftop dinner. 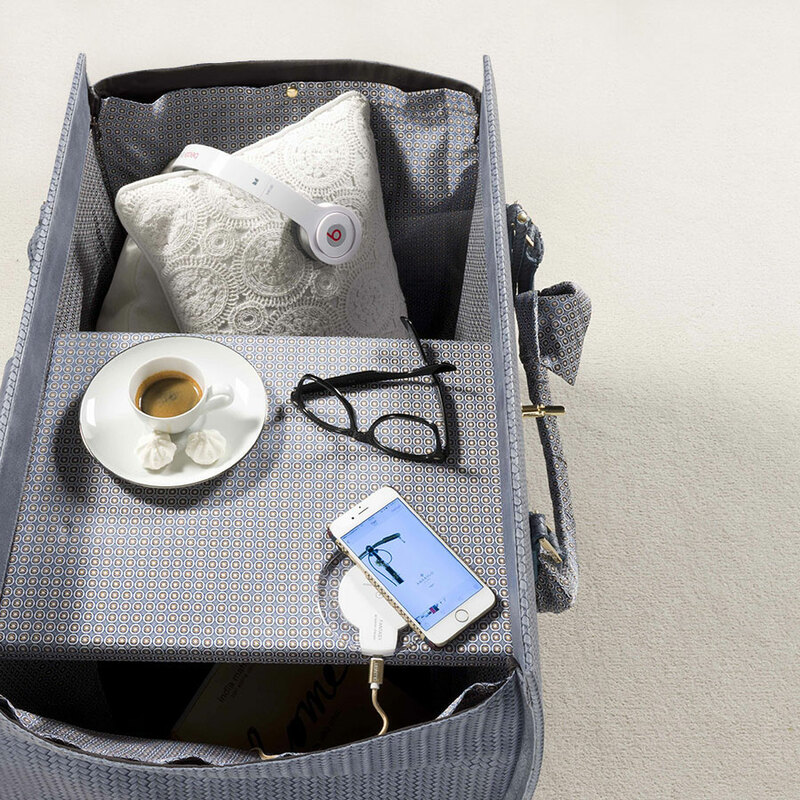 The two top handles are designed to make it easier for you to carry the storage bag around the house. Use it as a sofa side table and magazine rack, fill it up with scatter cushions or blankets, add an additional pull out bag and get a unique firewood basket and carrier. Whether you arrange it close to a sofa, a reading armchair, a luxurious bathtub, Esmeralda is the perfect solution for storing all you need right at hand: warm throws, books, magazines, remote controls, towels, cosmetic and much more. 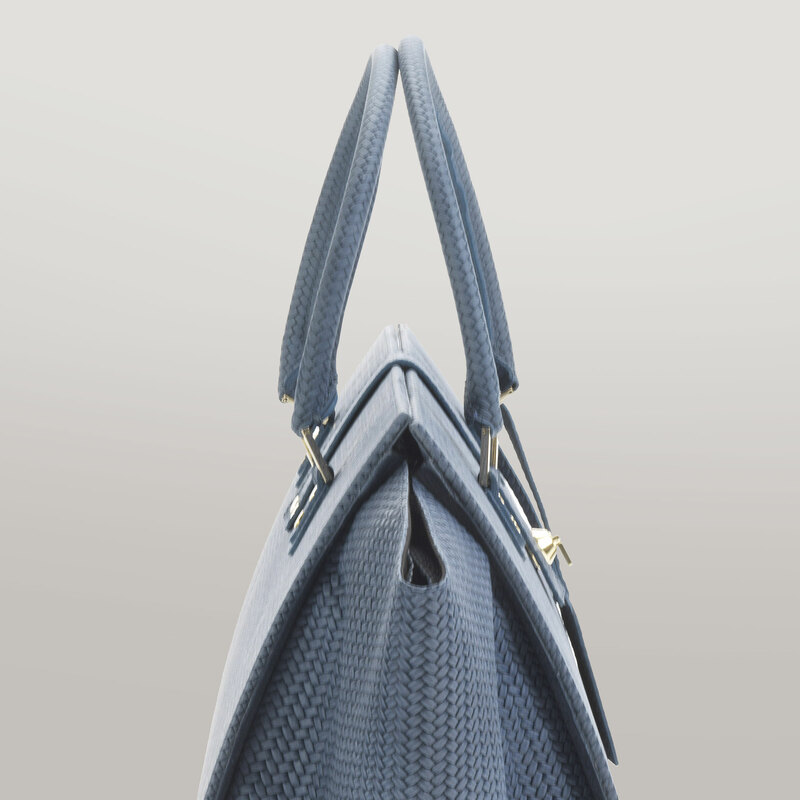 Its flat bottom and triangular side panels echo the most classic trapeze bags, also this type of structure allow for many items to be store inside thanks to the roomy open interior. 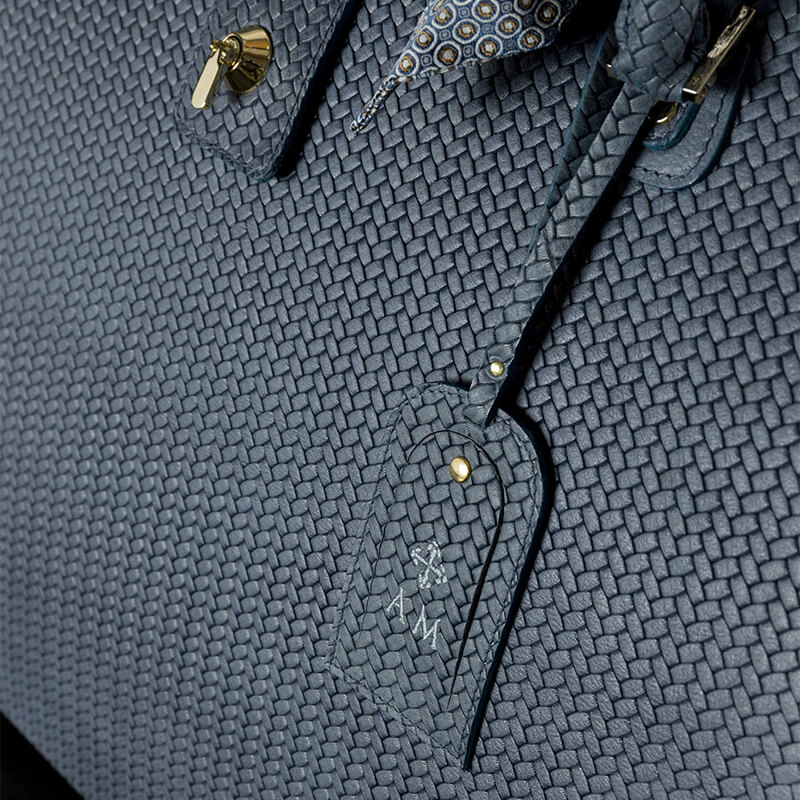 Just like fashion designers would do, we have provided you with a range of customisable accessories to make your luxury storage bag even more unique. Final touch? Have the tag monogrammed with your initials. 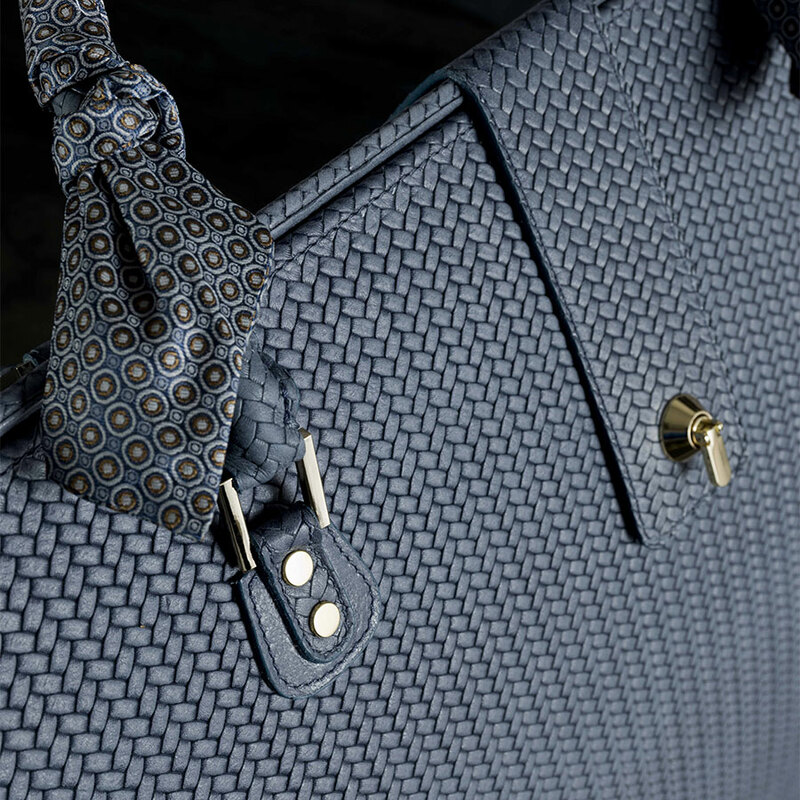 Crafted in genuine leather and detailed with golden hardware, the Amerigo Milano's one-of-a-kind storage bag and container is entirely handmade in Milan by skilled and experienced artisans and tailors. 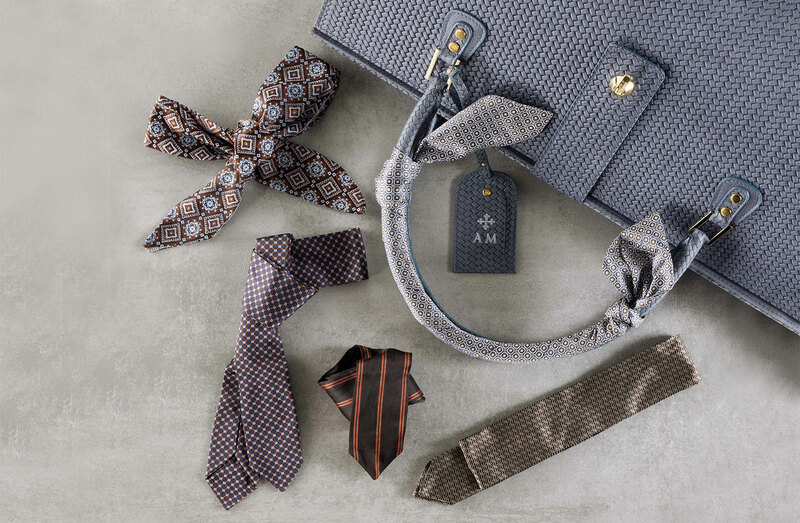 At Amerigo Milano we believe that it takes passion and know-how to make true unique pieces. 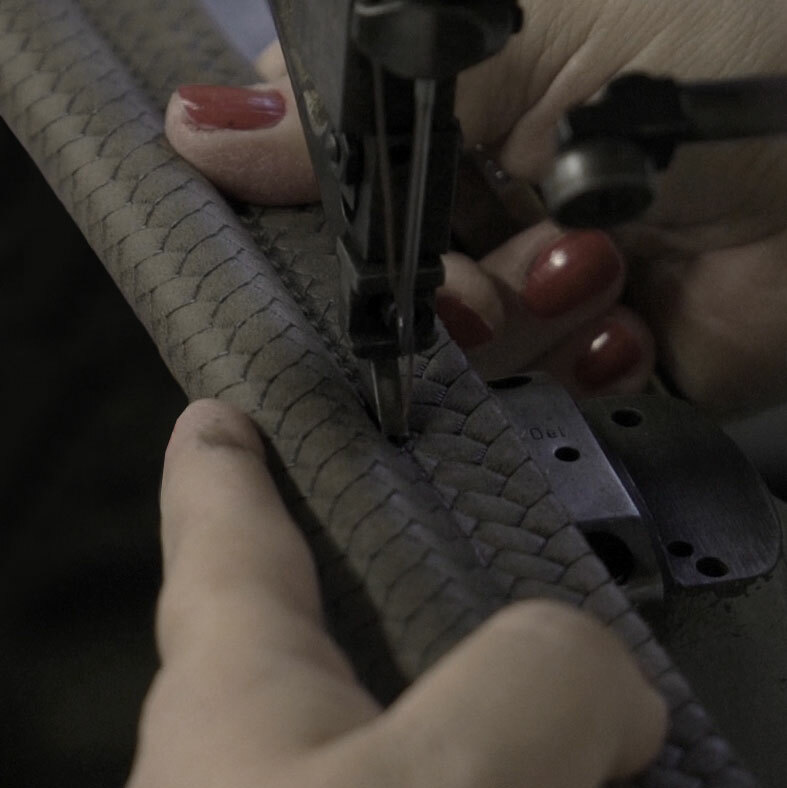 In order for a furniture piece, an accessory, a suit or gown to become immortal icons, their conception must come from a mix of traditional manufacturing processes and techniques, influences from a variety of sources and a glimpse of nostalgia. 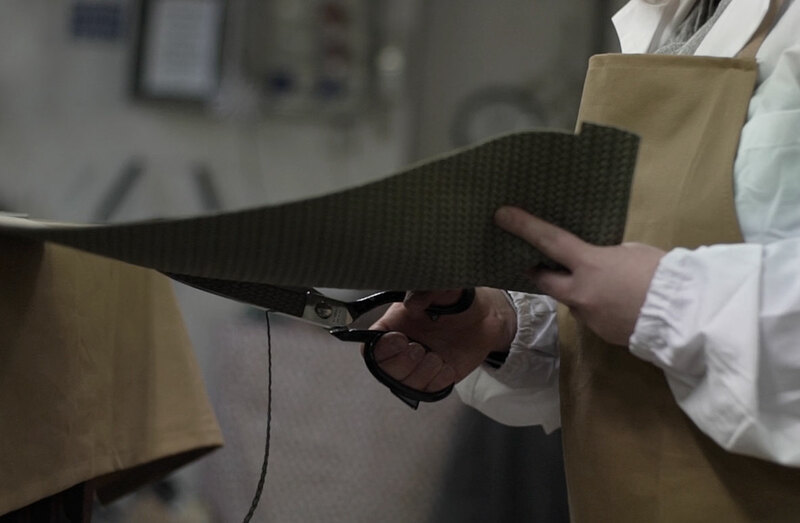 We look at our past to mould our present, we study our Milanese heritage and are committed to preserve all its creative impulses and inimitable artisanal knowledge. It requires 10 hours of handicraft and a picked team of specialised artisans to make one bag, and we intend to keep it this way.